In Just Hours Each Time! You're here because you want bigger gains than most investors. Maybe you're an options trader already. Or just looking for more 'juice' in your investments than you're getting now. If so, The Crisis Trader (TCT) was created specifically for you. Do you want high-powered trades that deliver regular 15%-44% profits in just hours? Do you want a REAL wealth-producing tool for your portfolio that also minimizes risk? Do you want an honest service that delivers genuine profits based on real entry and exit points? 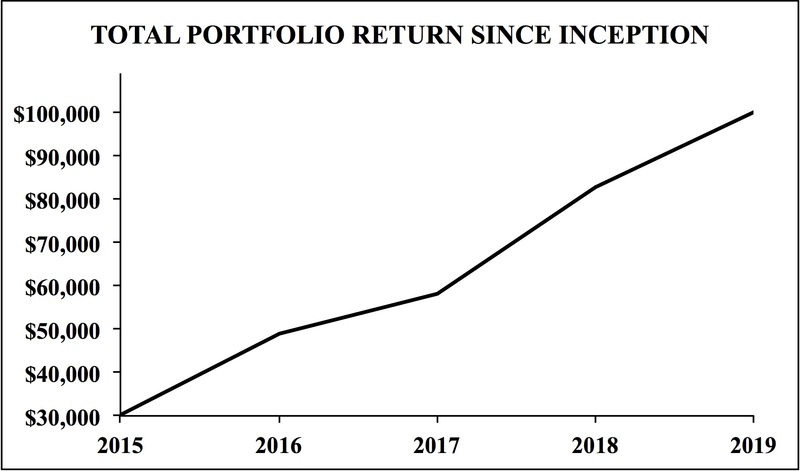 As you can see, we're up over 269% since inception ...crushing the returns from stocks and other asset classes... and we're just getting started! I think you'll agree that 269%% real profits -- not hypothetical profits -- is an exceptional performance. This is a high-octane service that delivers exactly what it promises! Some options services out there promise massive gains in a few weeks (many 100's of percent). Which sounds like a great way to make big money really fast. Until you look at their track record. Then you find out -- often the hard way -- that those "great" results were based on entering the trade at the lowest recorded price for that particular options contract. And then exiting at the highest tick. This is a highly misleading (dare I say fraudulent) way to represent the returns on offer. So if you've been burned by one of these services in the past, you have my sympathy! You'll be pleased to know that The Crisis Trader does not operate based on theoretical returns. It's based on realistic entry and exit points at which a live trader can get filled on his orders. That 269% returns three years is real money! You'll find that the virtually all the wealthiest traders in history have been the ones with the most consistent track records. That's the name of the game with The Crisis Trader. Regular, simple trades with specific entry and exit points. Regular profits. Regular wealth-building. SATISFACTION GUARANTEED: Try TCT with a 30 day money back guarantee. And there's no autorenewals! If you don't want to continue, there's no additional billing! "I signed up just 30 days ago. Every single trade you’ve given me has been a winner. Thanks so much! P.S. There are only a limited number of The Crisis Trader subscriptions available -- I won't let the service expand to the point where readers can't get fills on their orders. Sign up now to ensure you get your spot. "Thanks for the service. I've made my subscription fee back within 2 weeks." Disclaimer: The information contained on this email is for marketing purposes only. Nothing contained in this email is intended to be, nor shall it be construed as, investment advice by Phoenix Capital Research or any of its affiliates, nor is it to be relied upon in making any investment or other decision. Neither the information nor any opinion expressed on this email constitutes and offer to buy or sell any security or instrument or participate in any particular trading strategy. The information on the site is not a complete description of the securities, markets or developments discussed. Information and opinions regarding individual securities do not mean that a security is recommended or suitable for a particular investor. Prior to making any investment decision, you are advised to consult with your broker, investment advisor or other appropriate tax or financial professional to determine the suitability of any investment. Opinions and estimates expressed on this site constitute Phoenix Capital Research's judgment as of the date appearing on the opinion or estimate and are subject to change without notice. This information may not reflect events occurring after the date or time of publication. Phoenix Capital Research is not obligated to continue to offer information or opinions regarding any security, instrument or service. Information has been obtained from sources considered reliable, but its accuracy and completeness are not guaranteed. Phoenix Capital Research and its officers, directors, employees, agents and/or affiliates may have executed, or may in the future execute, transactions in any of the securities or derivatives of any securities discussed on this email. Past performance is not necessarily a guide to future performance and is no guarantee of future results. Securities products are not FDIC insured, are not guaranteed by any bank and involve investment risk, including possible loss of entire value. Phoenix Capital Research, Phoenix Capital Management, Inc and Graham Summers shall not be responsible or have any liability for investment decisions based upon, or the results obtained from, the information provided. Phoenix Capital Research is not responsible for the content of other emails to which this one may be linked and reserves the right to remove such links.